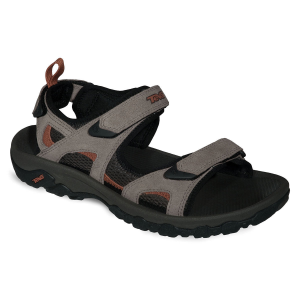 Perfect camp and backpacking sandal! Lightweight, extremely comfortable, easy to get on and off and packable. One-piece design means fewer potential failure spots, and the tread won't peel off. Absolutely recommended. As members of another website, my husband and I occasionally get products to test from time to time in exchange for a review. 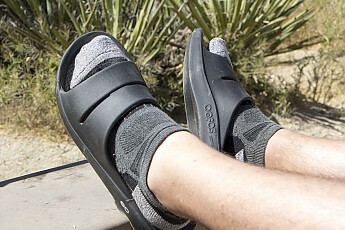 On a trip to Joshua Tree National Park we had the opportunity to test some Oofos, and they were awesome! I'll admit without shame that when I pulled them out of the box and squeezed them, I actually did say, "OOOOOH!" They are super cushy! We used them in the mornings when we needed to let our puppy out of the tent, and when we got back to camp after a long day of hiking, and they were absolutely perfect for both uses. We both liked that they're all one piece and a lot less likely to break with wear, and they're insanely lightweight. They'd be a perfect backpacking camp shoe! They fit us both well, they have great support and great cushion, and even my husband (who normally dislikes sandals) has really liked them—enough that he's said something to me, which only happens if he genuinely likes something. 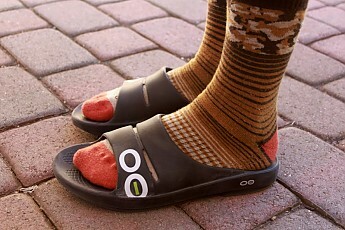 So good job, Oofos, you won the approval of Mr. Impossible-to-Please! Haha. They were also great because (as a sandal should) they didn't let our feet get too hot, even when it was close to 90 degrees in Joshua Tree. I think the only thing that I personally would change is that I found the toe on the flip flops to be a bit uncomfortable, and I think I'd be happier with a slide style like my husband got. Welcome to Trailspace, Jen! Thanks for sharing your first review with us. As a member of another website, I am sometimes given products to test in exchange for a review. At Houston Mesa, I got to test out some OOFOS OOahh Sport Slide Sandals. I chose the slip-on ones because I like to wear socks with my sandals (haha) especially while camping. Going in and out of the tent I could put these on and off so easily, I loved it. 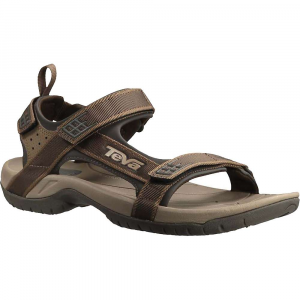 These sport recovery sandals work great after a long day on the trail or just lounging around at the pool or beach. Excellent support and cushioning. 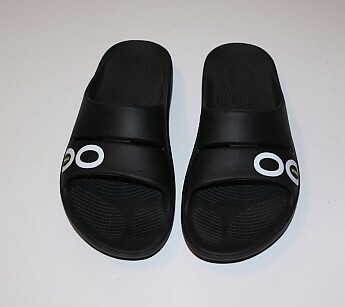 After a long day on the trail or at work nothing beats slipping on a pair of OOFOS OOahh Sport Slide sandals. OOahh, is the sound made when I slip my feet into these sport recovery sandals. Between the support of the integrated footbed and the cushion arch support your feet will start to thank you immediately. 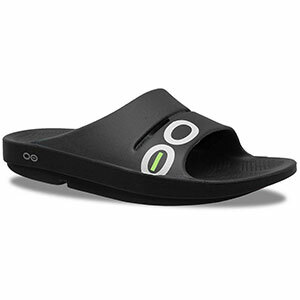 OOFOS claims that the OOfoam absorbs 37% more shock than other similar sandal materials, and I can honestly say I have never had a pair of sandals that were as comfortable. 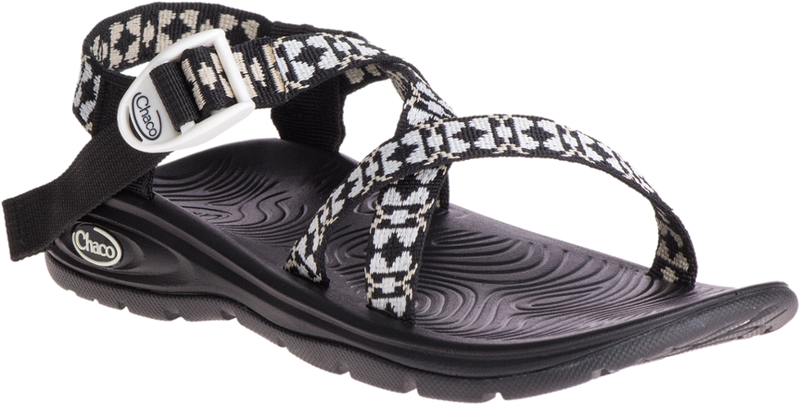 Water resistant, floatable, and very lightweight, the OOahh is perfect for the beach, around the house, or as the perfect camp shoe for three-season backpacking. I received a pair of the OOahh Sport Slides in January and instantly fell in love with them. A size 9 in black worked perfectly for me. After a long day on the ski slopes slipping on a pair of these sandals and walking around is as close to a foot massage as you can get without a masseuse. The foam arch support is just soft enough to gently knead the bottom of my feet and the footbed keeps my feet at the perfect angle for comfort and recovery. Weighing only 11 ounces a pair, they have become my must-bring backpacking camp shoe. The slip-on style allows me to either go barefoot or wear a pair of socks when the night air begins to chill. Perfect for that nighttime call-of-nature walk or for crossing a stream, the OOahh crushes down to a little under 2-inches thick. 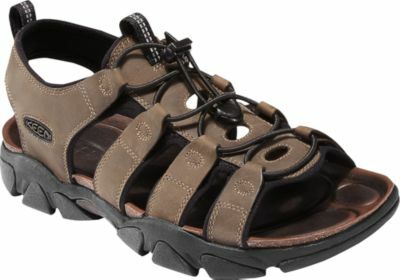 The soft OOfoam keeps the sandal attached to my feet and I really appreciate a sandal without a toe post. 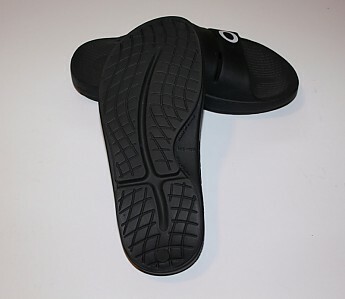 The OOfoam does not absorb foot smells and the sandals are machine washable. You can even help fight cancer with the Project Pink sandals, where $10 of every pair sold goes to fund Breast Cancer Research. Colors: Project Pink, Black, Brown, Cloud White, Yellow, Blue, Cardinal, Orange, Boston Marathon special edition.